From 2009-2010, I was a NOLA Fellow with non-profit organization Broad Community Connections (BCC). BCC is a non-profit, community development organization devoted to revitalizing the Broad Street corridor by promoting the economic, residential, and cultural development of its diverse surrounding neighborhoods. As a state-designated Main Street, Broad Community Connections is working to address long-standing needs on the historic corridor – many of which existed prior to Hurricane Katrina in 2005. Broad Street runs through several of the city’s most vibrant and culture-bearing neighborhoods, including the Treme, Mid-City and Lower Mid-City, Faubourg St. John, and the 7th Ward. As a NOLA Fellow, I completed economic analyses of an abandoned grocery store site along Broad Street to demonstrate that the site’s primary and secondary market areas can support the food retail space. 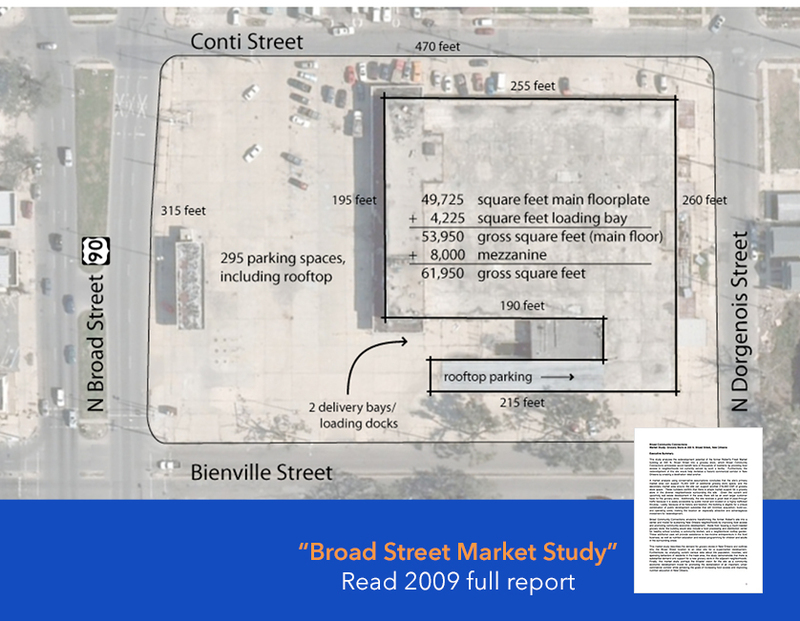 The market study describes the demand for grocery stores in New Orleans and outlines why the Broad Street location is an ideal site for a supermarket development. It portrays the broader vision for the site as a community economic development model for promoting the revitalization of an important, urban commercial corridor while achieving the goals of increasing food access and improving nutrition education in New Orleans.